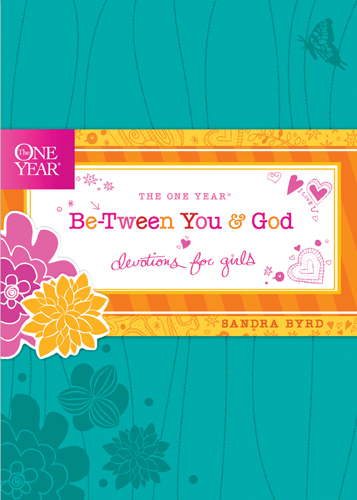 I really enjoy a well written devotional to start my day.When I saw the One Year Be-Tween You and God Devotions For Girls I thought it might be a wonderful tool for my own Tween girl. I asked her if she would consider reading it and letting me know what she thought. When I received the book, I was impressed in the quality, durability and look. Let’s face it, if you actually use a devotional book for a year, it will take some abuse. The thick pages can easily be marked and hi-lighted without bleed through. I can only hope my girl will use it to that degree but it is good to know for those who enjoy being territorial with their daily devotions! The questions and topics are excellently done. The Trinity, sin, decision-making and worry are some of the topics as well as why girls are sometimes mean one day and nice the next! I am looking forward to spending time in the upcoming year with this devotion to springboard some conversations with my daughter as she goes through it. This would be a great Christmas gift or stocking-stuffer for your Tween! Below are our Mom-Daughter thoughts and a PDF sample! My daughter is 12 years old. She gave positive feedback in three areas worth mentioning. and topics she could definitely relate with and appreciate. *She said that the specific questions were interesting. In “Tween” language this means “not boring”. and she also liked the style and presentation of the devotions. Over all I think this is a beautiful gift devotional which will challenge girls to think with God and learn to apply truth to their daily lives. Thank you, Dawn and Katherine, for taking the time to read and review my devo. I appreciate you both! Sandra, it is so well written! Thank you for stopping by to visit. We loved it! Looks like another great devotional. One can never have too many. I would love to win! What a great giveaway! This would make a perfect Christmas present for that special tween girl in my life! One can never have too many ways to focus on God! AMen, Barbie! So glad you made it by! It is a gem. I am enjoying reading it as well! Lyndsey, YOU are the winner of the devotion! Thanks for dropping in for a chance! Winner of the Devotional by Random Drawing is Lyndsey V!